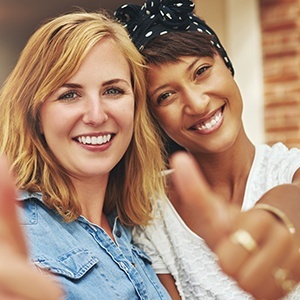 If you’re like most of us, there is bound to be something that you don’t like about your smile, whether it be stained, chipped, cracked, or gapped teeth. Thanks to our cosmetic services, however, we can quickly make them disappear to give you the smile of your dreams. At Conklin & Ward Dental Group, we can help you design your perfect smile and then make it a reality over the course of a few simple appointments. With us, it’s just that easy. If you’re ready to get the smile you’ve always wanted, contact us today. Porcelain veneers are able to eliminate any number of smile flaws all at once, creating beautiful, natural-looking results in record time. 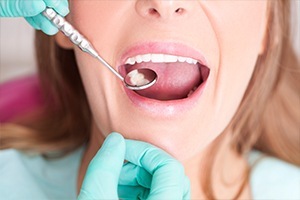 They are extremely thin porcelain coverings that are bonded directly to the front of the teeth, and with them, we can improve a single tooth or even give you a complete makeover. They are always custom-made to a patient’s specifications, and they all but guarantee a stunning smile. Better yet, you can get them with just two easy appointments to our office. 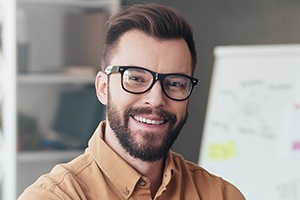 The teeth that show when you smile require extra special care if they become damaged, so in this situation, we’ll utilize strong, natural-looking porcelain restorations. 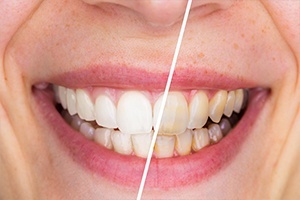 Dental porcelain is one of the most advanced materials in all of dentistry, able to mimic every aspect of real teeth, including the way light reflects off of translucent enamel. With these restorations designed by our team, only you will notice that you’ve had dental work. 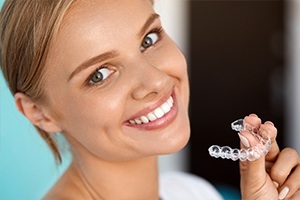 If you’ve always wanted a straighter smile but hated the idea of getting braces, Invisalign is what you’ve been waiting for. It uses a series of clear plastic aligner trays to gently straighten the teeth in the most discreet and comfortable way possible. They are practically invisible when worn, and when it’s time to eat or brush your teeth, you can simply take them out. Now, you can get a perfectly aligned smile without compromising your daily appearance. Are small stains, chips, cracks, or gaps completely throwing off the appearance of your smile? If so, direct bonding provides a quick, easy, and affordable solution that takes less than an hour to complete. Your dentist will apply a tooth-colored composite resin to your tooth, and then they’ll use it to literally sculpt away any flaw you can imagine. With this method, we can improve and enhance the shape, size, and color of any tooth. Want to dramatically brighten your smile in the most effective way possible while just relaxing at home? We can help you do it! We’ll provide you with your own custom-made kit consisting of specially-designed mouth trays and a potent whitening gel MUCH stronger than anything you can buy in stores. Simply use the kit as directed for about two weeks, and your smile will easily be up to 8 shades whiter, ready to be shown to the world.